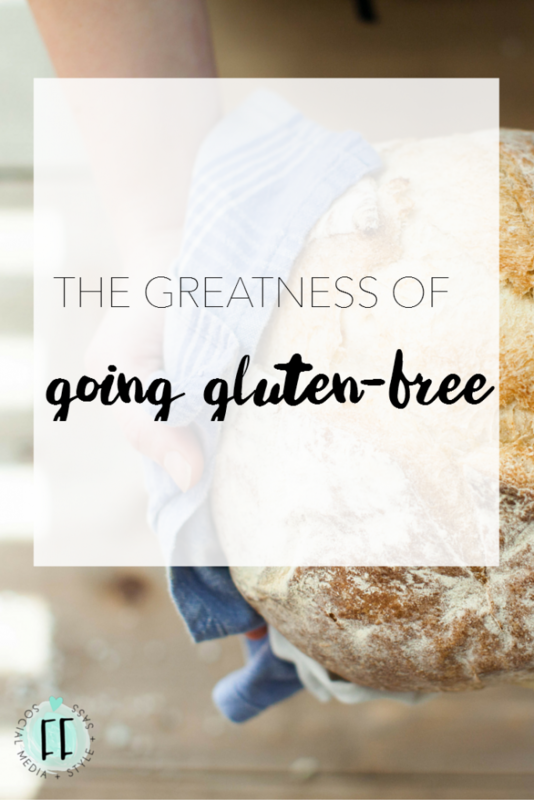 I went (mostly) gluten-free a couple years ago, after discovering that I was in the very early stages of hyperthyroidism, often easily affected by consumption of gluten grains. I almost-instantly noticed that my troubling stomach pains disappeared and I discovered a greater amount of energy. First off, it's a fun challenge to be forced to get more creative with your food. Without many grains, you will have to alter recipes and switch up your classic favorites to abide by your new diet. Within my first month, I discovered the joy of lettuce wraps and found myself consuming the correct amount of proteins that my body craved more frequently. Secondly, you've all of a sudden become super "hip." Once changing to gluten-free, I noticed that many of the restaurants I ate at were offering gluten-free options, if not an extensive gluten-free menu. This is a new fad (regardless of if that fact is good or not), as well as a more widely recognized health accommodation. Some of the most delicious menus in the world are gluten-free. You'll feel amazing! Trust me when I say that all of the bad cramping, bloating and exhaustion is erased after scraping gluten from your diet. I had the worst indigestion and discomfort after shoving noodles, pastas and bread down my throat growing up, but always thought this was due to dairy intake. I would cut dairy out of my diet, but nothing would change. I was shocked that gluten abstinence was the magic key. If you're currently at an unhealthy weight, you might find that you lose weight on a gluten-free diet because of a). a lack of carbs, and b). a more balanced diet filled with nutritious proteins, fruits and veggies. Most importantly, and you must repeat this to yourself: You. Can. Survive. Without. Gluten! Humankind has never needed the protein of gluten to survive (unlike proteins consisting of meat), therefore, you're stripping your body of one more unnecessary product. You might be disappointing traditional pastry chefs, but you're not bumming out your system. Happy bellies for all!